Hi I think I’m a werewolf but can’t be sure of it does anybody know how I can tell. I’m not very old so I’m not sure when I’ll change. I have many dreams that all come true or at least parts of them anyway. I’ve seen people in my dreams and then I meet them a few weeks or even years later. Someone please help me I don’t know what’s happening. I think you probably are a werewolf, do you have any other senses like sight, sound and smell? Sounds right. The signs line up. It’s interesting many people are genetics but it never gets activated. If the werewolf was far enough back in your family tree (or pole if you’re from Arkansas) the genes aren’t inherently active. This type of genetic wolf is called a dormant. Seek you the White Wolf? Seek me out, my tribe is what you speak. if youll pardon my ignorance…what is a ‘lunar’, and what role do they play in pack hierarchy??? OMG, i am exactly the same way. Im XXXX but for the past month my nerves are on end. you dont even have to say anything to me and my blood will boil. I’ve been eating non stop, but im not gaining weight, i am actually losing. I have dreams that have people in them that ive never met before and then i meet months or years later, and i’ll be like i’ve seen u before. I can’t sleep for a few days every month, and sometimes i’ll be doing something and my body will just collapse into a deep sleep that’ll last for a few days. people have been trying to wake me from these slumbers without success, my roommates are pretty freaked out and I dont know what to do. can someone please explain whats going on?! like what? any ideas or leads? This is like me! I think I might be genetic and resisting the transformation? Anyone have any tips??? I’m a genetic and I’m pretty sure I transform but I’m not sure when or how. I would really like to know too. I don’t know what to do if youre resisting transformation but I know being a wolf is fun. I have memories of being a wolf and doing amazing things but I have never done those things as a human. I don’t know why to think other than I know I’m a werewolf and that I’m genetic. The gene has quite obviously ( to me) skipped plenty of generations. Not sure what to do because no one I know is like me. I guess just accept the wolf as you. I’m a genetic werewolf via my dad, as is most of his family. I tend to stay up all night when it’s time for transformations, just because it helps me focus on my human side. I’ve had a lot of experiences, and I’ve been able to notice warning signs of my transformation, which could help. Hey guys. I was just wondering if these are signs if I’m a werewolf. Usually, I get pains in different spots every ten minutes, my eyes turn green, my nails grow abnormally fast, same with hair, it’s hard to keep my anger in, I love the outdoors, to me the moon in facinating, and, I love any types of dog or anything related. Someone try to comment so I can get an awnser. Thank you. And my teeth are big, and also, I LOVE MEAT! I am a werewolf… I really don’t get this. Okay. Humans are omnivores. You aren’t a werewolf if you “LOVE MEAT SO MUCH OMFG I CANT GO A FRIGGAN DAY WITHOUT EATING MEAT I AM SO TOTALLY A WEREWOLF!!!!!!!!! !” Okay? Got it? Good. Second of all: THE FULL MOON HAS NOTHING TO DO WITH TRANSFORMATIONS. AT ALL. If you are a werewolf you will have triggers, or you can shift voluntarily. (and not just or) I am young, (under XXXX but over XXXX HA TAKE THAT PERSONAL INFO FILTER) however I have shifted before. One night as I got into bed, I was feeling very shaky. I was under blankets, but I had cold shivers. My hands were trembling, and I got up for a second and had an urge to drop down on all fours. I almost fell asleep, but right before I did I had extreme pain. It lasted for a full 10 seconds, and after I felt weird. I jumped down off of my bed, and looked down. I wasn’t lying on the floor. I was on all fours. I looked down. I couldn’t see feet. What I did see… Where a wolf’s paws. I was shocked that I actually shifted. I walked the 5 feet to my bathroom, astounded… I didn’t want to be up for much longer (it was 10:30 on a school night… My school is an hour and a half away so I have to wake up at 6:00.) So I jumped up on to my bed and tried to fall asleep. I woke up as my normal self, my parents and surprisingly even the dog not knowing what had happened. Okay. I’m done with my rant. You are like me. I can sense what dogs are thinking and then somehow I answer them. I have ALWAYS loved the outdoors and the woods and can sense things better at night or when I’m in the woods. I think I transform but I’m not sure how to control it. I smell and hear and see things really well and run fast. I think you are a werewolf. Do you think you’ve ever transformed? I have all of these symptoms/signs but I don’t know if I’m a wolf. I haven’t shifted yet. What age, or when are you expected to shift? You seem like you could be a witch or phsicic. I am a werewolf and I transformed at 12 and the first one was painful. I hate the fact I have to hide my life from everyone. If you bite someone would that turn them into a werewolf as well or is that a myth? No, it isn’t always but can be fatal for a person to be bitten. And there are some other slightly safer ways. I have all of these symptoms, but I haven’t shifted yet. When are you supposed to shift/ what age? I was bitten by my ex gf her eyes were glowing red and ever since my sences are very strong with dreams i wake up in the woods. Suddenly i got stronger. One time i fell asleep and woke up with cuts and blood all over me. In my dreams there was a wolf when i woke up le bete was spelled in blood on my chest. One time i was at school this guy started to pick a fight with a little kid. I picked him up by the throat with one hand then threw him to the floor. My friend told me my eyes glew yellow when i did it. I just need to know if im going to hurt my friend or someone else. I just dont like to see people hurt. Mainly because of me. I also hear my dead gf when no ones hear she says two words LE BETE. Just someone help me before i kill someone im already sad about my gf death i dont need more pain. Hello, im new to this and think I am a genetic werewolf ( I think the gene might have skipped multiple generations). I have had a total of three wolf dreams. I don’t remember the first but in the second one It was night and in a forest woodsy area. I remember shifting and chasing a rabbit or small critter. I don’t know what moon phase it was or what month ( March I think) or what I looked like. I have what seems like a sixth sense sort of thing when it comes to dogs. ive never seen a wolf ( I live in FL, but hate the heat and love the winter) in real life, only in dreams. 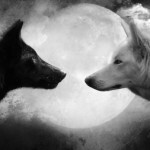 In the most recent one there were three different wolves all changing between white and black, with different pattern markings in black and white. I was in the car with my family. they disappeared after the three wolves came from the trees near the road. I saw a close up of a very happy male wolf changing from black to white with opposite markings. I am within the 13-17 age range but haven’t had my first transformation yet. I am looking forward to it . I am prone to weak bones that hurt really bad, sensitive hearing, smell, and eyesight. my mom found out about my believe in werewolves not too long ago and apparently that is unexceptable and has signed me up for counseling. I am perfectly sane for believing in what I want to believe in. It bothers me when im lower than someone (height, lying down, sitting, etc). 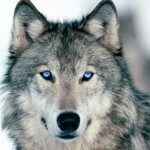 im sort of a lone wolf, in my opinion, but would love a pack to be in. plz respond with any helpful advise ty. Could you turn me into a werewolf. I understand the pain you have to go through. I want to be a werewolf. Please. You seem quite like my case. If my parent found out about my beliefs, I would be grounded or some other! I’m a wolf too. I am pretty sure I transform but I don’t know how to control it. I know werewolves are real because I am one. I hate being lower than anyone or even slightly behind someone. I don’t have a pack and don’t know how to find one. I love the cold Minnesotan winters and have dreams of hunting in wolf form. If you go to the counseler just stick by what you are. 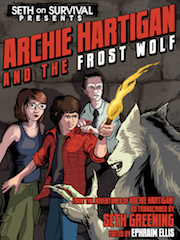 People believe in all sorts of things they don’t know exist but werewolves for sure exist. I am one and I stick by it. I have pretty much all the symptoms and I know I’m genetic( skipped many generations.) I can feel a wolf pack calling me but I don’t know how to respond. I can sense what dogs think and then I somehow respond and they understand. same, but I’ve only ever had 1 actual dream about a wolf. The rest were daydreams. Do daydreams count? That’s interesting. Very interesting. I believe you are in some sort of special family since you dreamt of the symbol. I strongly believe you and Wolf tails are werewolves. I nearly killed a person from my school that kicked me. My nails and hair have been growing insanely quick. My smell is getting better to. I am an outsider at my school, but I haven’t noticed any suspicious people. Ive kind of made it my job to keep an eye out for such now. the full moon is tomorrow and im very excited and a sensible amount nervous. this could very well be my first transformation/shift. When you are a werewolf what does it improve? Sorry I’m making such a big deal out of telling him he has just been one of my best friends for a really long time. He’s been threw everything with me, he doesn’t no that I’m a werewolf but he’s just been threw everything. And telling him he’s a werewolf is, it’s really hard. I don’t no how he’s going to react or anything. It’s just hard I’m hoping he won’t overreact because he’s only a week away from his first transformation. It’s going to be tough to tell him this. This recipe was featured on the movie ‘The Boy Who Cried Werewolf’.I am not one to prove the validity of your story, but I simply must say that anyone who is willing to try this must be extremely careful. As the recipe lists the ingredients but does not describe any procedure for either the processing or the use of such a compound. Just please be careful when testing it. Your life hangs in the balance. And if your genetic, then why want to be human? All I can do is wish you good luck. I would say that does take from his credibility. I said what I thought needed saying, and that has made all the difference. Sorry I’m making such a big deal out of telling him he has just been one of my best friends for a really long time. He’s been threw everything with me, he doesn’t no that I’m a werewolf but he’s just been threw everything. And telling him he’s a werewolf is, it’s really hard. I don’t no how he’s going to react or anything. It’s just hard I’m hoping he won’t overreact because he’s only a week away from his first transformation. It’s going to be tough to tell him this. Heh hope this ends well…..
Hi, I’ve actually never done this before but whatever. I’m Leycer D, I was born in Costa Rica. I believe that I am a genetic lycan, I believe it comes from my father’s side.his name is Cesar D and to me even though this all seems crazy I believe it’s real. I get sudden bursts of aggression Or anger that drive me crazy. I love to walk alone in the forest when I’m down. The real weird things are I can see better then most people, at least that’s what everyone says, I can hear better and smell isn’t that bad haha. And my number one reason to believe that I am a lycan is…my physical appearance and the fact that I’ve had dreams in the past that have come true years later,and I mean at least 9 years later. Answer with opinions about this, I’m curious as to what I should do. Hi leycer d I am kinda new to this but I have been in a similar situation. I think you are totally a lycan and the dreams that come true thing I’ve also had but I’m not sure what it has to do with lycanthropy. I wouldn’t stress out about it I’m still waiting for my first transformation. As I previously said I’m still very new to this. This is probably a dumb question but are werewolves meant to keep it a secret to humans that they are lycans. Are werewolf hunters real. If so are they powerful and where are they most commonly found? Ethan werewolf hunters are a very real threat at least they are for me. I don’t know what clan your in but for me keeping secret has saved my family and friends from situations that are hazardous. I didn’t want to say this but I feel I should say something. So that’s all I will say. Changing is amazing. To me it usually feels like the best, most vivid and sensually active dreams ever. I had a dream that I was a human then someone touched by book and I totally wolfed out on them and viciously chased them until I got my book back. Then I chased them a bit more and snarled then stalked off. The strange thing is I loved scaring that person. I was a black and silver and white with the colors marbling my fur. I love being a wolf but I don’t know how to control transformation. Hi tim I have never done potions but I think there are several on YouTube that include what you need. A lot of them on YouTube are fake though. Good luck. I think I am a genetic werewolf. Lately, I’ve had a taste for meat, and nothing stops me from getting it eh when I can. When I lie down or get comfortable, i always curl my hands to look like paws. I’ve had dreams were one of them i was looking in a mirror, and i saw a wolf instead of me. Another one is where i was taking to someone, and i said, ‘Im not a werewolf yet, but it will happen.’ Sometimes i hear strange howls outside, and sometime, i do the same. I growl and bark at times, too. Something I’ve never known till now, im REALLY strong, especially at night. Also, I’ve grown a large interest in wolves and the full moon. I don’t know why u do these things; please tell me. Also sometimes I get really mad and start yelling. You sound like a Dyan werewolf. The wolf in the mirror is an unmissable hint. Bombshell. Get in your bunker, Dyan wolf! You’ve got a Dyan moon to shift on! Could you turn me into a werewolf I never tell secrets and always keep them. I know the pain is really hurtful and I understand. Please help me. How do you trigger the transformation I believe I may be a werewolf and I can see myself transforming but I don’t know to trigger it. Can anyone help ? There’s a rule where people can’t come in and ask for bites. This is a no-bite site. I can’t turn you into a werewolf. I’ve never had pain turning though( that I know of) I don’t really know how to control the transformations but sometime I wake up with knew memories of being a wolf or even a human running with wolves. Sometimes I wake up to find fur on my bed. The colors are silver, black and white. That’s the color of my fur (I remember seeing it on myself as a wolf) it’s beautiful with a marbled pattern. I get the urge to howl or bark or growl or run quite often. I want to tear birds out of the sky and eat them and I crave meat. I don’t know how to turn someone into a werewolf and I don’t think biting works. It might but I haven’t really heard of it working. I’m a genetic too but the gene skipped a few generations. Love being a wolf. Literally the first thing you read on this sit is that this a no bite zone. And finding a wolf who would turn you…it dangerous to turn a human. On OK Thank you for your help. I greatly appreciate it. Do you know the ingredients or where i can find it? By the way guys are any other creatures real like vampires or is that just rumours. Yes other mythical half-humans exist, but you don’t have to believe me. Werecats, Vampires, Centuars, Elementresses, things like this: ALL REAL. My best friend is a vamp she even has fangs, no joke! then what are you? are you just human? Elves, Fae, Sidhe, also exist. As do kobolds, frost giants, storm giants, dwarves, Dragons, and various dark creatures. There are at least two strains of vampires and the elder is altogether more powerful and terrifying. Some can be good like your friend no doubt, but many are devoted to Darkness and evil. It’s a hard life. But you must know they’re real, it seems as if we’re suffering to show ourselves. Pity on us the humans still believe their grandfather’s stories of “beasts, evil, demons, devils” and the sort. Hah, I was kicked out of my granddad’s home once for being who I am! At least he still knows we exist. But is against them. Please be like him with the I-believe part, but not the I-will-fight part. Be the I-will-accept. Thank you for the advice. What do you think the best one would be? I just found out I’m a genetic werewolf. Last year for 6 1\2 months I had a recurring dream. The dream was me running through the woods and I would come up on a group of campers in these dreams it was always a different from of campers but every time I would kill them all. I would tear them apart with these long sharp claws and I would bite their heads off. I could taste the blood and it would excite me. I could still taste the blood when I woke up the next morning. Ummm… woah. I think your born with the dark side… PLEASE TURN TO US BEFORE IT IS TOO LATE. What do you mean turn to us before it is too late? And who is us? Okay… don’t invlolve yourself in any spell, oath or supernatural. It could kill the others if you start. Your blood is not in your favour. I can give no more information as I am aware to not openly speak of this kind of matter… pm me to know more. Make an account and pm me, quickly, before you run out of time. In most of my dreams parts of them come true. But most importantly almost all my dreams I have all five senses which I heard that’s impossible. Could someone please tell me what’s going on with me. I also get really angry real easy. your a werewolf now that is all i can tell you now plz stop freaking asking can you even read what your typing if these things are happing to you and they lead up to a werewolf then yes you ARE A FREAKING WREWOLF! FOR GOD SAKE! UGH! I’m XXXX, I think I’m a genetic werewolf but I’ve never shifted before Am i refusing the transformation? How do i allow it? I’m quite lean, i can run really fast when free, I have a particular desire for rare, red meat, every cat I’ve met HATES me, I am quite hairy :oops:, I get quite angry often and I’m quite strong. But still I’ve never shifted! Can anyone help me? I’m desperate for tips! Am I even lycanthropic?! Some genetics shift at a certain age. But that is because the person they got the lycanthropy from is a distant relative, maybe great-great-great-great-great-great-great-great grandfather. My friend shifted at 21. I keep half-shifting and passing out. If you experience a transformation blockage after your first shift, you may want to speak to me. Thanks so much for the tips, they will help ALOT also I have been keeping track of the lunar phases and before every full moon I feel tingly with excitement or my nerves are on end. Does this mean anything? I’m pretty sure I’m a genetic wolf. I just can’t tell. Can someone help me out? Here are some facts; I love the night life, I have better eyesight in the dark, I.can run faster than my friends (Good stamina), I love raw foods and barely get sick from them. It’s highly likely. Good luck on your first shift. I’m a wolf. Sorry I can’t help though. I’m genetic but it skipped generations. I can’t really control the shifting and I don’t think I have any pain when I transform. I usually transform at night when my spirit pack calls me or sometimes in the late day when I feel really wolfish or get to mad about something. I crave meats and (thankfully) had lots of meat for dinner. Now I think my inner wolf is happy so hopefully I can shift easily tonight. It’s dangerous to bite a human so they can turn. I can’t. I’m not even sure it works but there are some potions and spells on YouTube that might help. Hello Frostbite. Healers are always useful especially amongst us. It’s a good thing wolves heal faster to begin with or we’d never get away with some of the fights that happen. Welcome to the site, have fun. Hi, I was wondering what it’s like being a wolf and is it easy to hide as I would really love to become one. I can’t control the shifting but I can help myself to try to shift. I usually think about wolves and eat meat when I can (I swear, my family is trying to eat vegetables all the time. It kills me especially when I crave meat.) Meat usually helps but I think I transform mostly when my pack calls me. I’m an alpha and a hunter/fighter. I have silver, black and white fur. It’s in a marbled pattern and I sometimes wake up to find my fur on my bed. I don’t have pain when I transform so I’m glad about that. I wish I could control the transformations though. I have really bad random pain and it seems like it’s only at night is this normal if you haven’t had your first transformation yet?? It’s normal. I was 9+10 and it was the day before the tetrad blood moon and I got really bad pains. Also earlier that year on the singing moon I got really bad pains. I wasn’t old enough though. So a few months ago i’ve started feeling alot angrier and very impatient for no reasons. So normally someone would go see a counseller or something but why i didn’t do it is because i had a fight with my brother and he made me so mad that the last thing i remember is me throwing him around like a ragdoll (and he’s a good 200 pounds) and then my dad got home so i went and locked myself in my room and when i looked in the mirrow my eyes were glowing yellow. Now here comes the weird part the first full moon after that incident i woke up in my backyard with blood on my hands without a single clue how i got there or the blood got on my hands and so i went back inside to take a shower but i noticed when i looked in the mirrow i had glowing blue eyes now (of course the eyes went back to normal after a while) and i thought it was cool until I read that blue eyes means you’ve taken an innocents life. So now i dont know what to do i am only a XXXX years old guy that was probably born a werewolf but has no ideas how to control it so if there is any alphas out there please contact me. Make an account on this web site contact me I will help you. That’s all I will say. Whew, I was about to say… thank you LANA. Hi, this is Shane and I’m a genetic werewolf, last time about a month ago, I dreamed that I was protected by a werewolf, when I was attacked they protected me and I remember them saying this “you’ll be okay, one day you’ll meet your destiny”, after that happened I woke up and felt strange. Another week I had a dream that I saw a big wolf with black and gray fur. After both happened, I started to think myself a werewolf, I counted symptoms I had related to a werewolf, and these are the symptoms. Well, you seem like it. Have fun. I LOVE the idea of werewolfs it’ a really fascinating subject. I have four really pointy incisors ( a lot sharper then other people). I really like meat it’s one of my favorite things to eat and I can sprint very fast for a short period of time. I would love to be a werewolf if anybody could give me more information that would be great. What is it that you wish to know? I might be able to help you? I would like to know if it’s a possibility i could be a werewolf. Ive tried asking my parents questions like is there anything strange that hapeens in our family my dad says no and he seems a bit confussed like “what are you saying?” but my mum just changes the subject.. But im pretty scraed and confussed and since its only been happening since this year do you think turning 16 is some sort of trigger? I don’t know I just don’t really know who else to ask. Ive also grown a strong love for meat as well my senses being a whole lot better. My friend was running towards me while I was turned around and I heard her coming and threw her on the ground its weird because im normally the little defenceless friend but lately I think they’re all afraid of me haha. Hello, my name is Wylie. I’ve always believed that werewolves are real. I haven’t seen one to my best of memories. But for as long as I can remember I have dreamed about them attacking me in my dreams. Long before I’ve ever seen a wolf or werewolf on tv or movies or etc. As a young child and to this day they have always attaches and ripped me apart. I’ve died many many times in my dreams before waking up. What could this mean? Just this summer in Barrie,ON at 6:30 am. A large wolf chased a 3 year old moose right near me while I fished the small creek. This moose jumped in the creek to other side while the wolf change course for me and charged me. I scared beyond belief stood my ground yelling not today. With only a pocket knife. The wolf he got left then 15′ away. I could se the black of his eyes. Just stopped like it heard a voice and walk away……..? Before this an alpha wolf black as night with yellow green glowing eyes appeared twice in my grandmothers basement I live in. Seen the second time by my gf. He just appears some how and disappeared but intensely real. Why and what is this all about? I’m tired of fearing werewolves! More then I want to be one! I don’t care about the pain they endure to become or transform. I can’t stand this pain of fear I can’t face and concour. Someone please help me face my fear and concour them and also become my greatest dream come true. Thank you and sorry about the long post. I’m just finally very desperate for some help please. I have experienced really weird dreams of wolves, a black one following me in the one, and another of me transforming and I woke up with dirt all over my feet, there are many more but my temper is horrible, I have to see a counselor. My eyes change all the time from bright green to yellow/ a golden color. My hair has grown unbelievably fast, and many other things please help comment!! Anyone know what this means..? It means you’re probably a werewolf. Sure. What exactly can I help with? I have most of the symptoms of a genetic wolf but I don’t experience eye color change, is it possible I am still a werewolf, please help. P.s. I haven’t shifted yet or anything like that. I believe I may be a genetic wolf , I have all symptoms other than glowing eyes and I haven’t had my first transformation yet, am I a wolf? I think I may be a werewolf but I’m not sure. I have very sharp teeth, eyes that change to gold every once in a while, I love to run on all fours, I love to howl, I love night time, and I love meat of all sorts. Anybody have any tips or anything to help me? Is there anyway to know for sure if you’re a werewolf if you haven’t shifted or anything similar? I’d really love to know if I am one, but if not what are the ways of becoming one? Hi, my name is Sam. I’m about 99.9% sure I’m a genetic werewolf but I haven’t shifted for the first time yet and I’m over the 13-17 age range. It’s so frustrating because I can get to the point to where I feel the pain, and my body gets that wonderful shaky, tingly feeling but then it’s like bam. I hit a brick wall, and I can’t seem to get any further. Has this ever happened to anyone else? Is there something wrong with me? I really hope that someone can help me with my delima. I think that I am a genetic werewolf. I have gotten faster, stronger, canine and premolar teeth sharpening, LOVE meat, Increased smell, hearing, and night vision, and sudden pains in my chest. They are a weird type of pain, like stabbing/throbbing. I do not know my grandfather, nor does my dad. Could he have been a werewolf? I need help. I think I’m a werewolf. Can anyone help me? I’m showing a lot of the signs that a lot of werewolves show. I looked up werewolves online and the signs of them. How do I tell if I am one? Hey I’m a genetic werewolf but I haven’t shifted yet, at what age would I shift and also I’ve been seeing a grey wolf with blue eyes lately and my eyes have been burning like crazy and the skin on my hands will peel off every so often and I’ve been growling a lot and I see the wolf killing people and for some reason I have an urge to kill. Can someone tell me what this means? Please, I need to know, please please respond asap. I have been having this dream where I am a werewolf and I can remember the dream very well. I was black and white patched with vibrant blue eyes as a wolf and in human form I was maybe 6 months older than I am now. I also have lots of the symptoms listed above, how do I know if I am really a werewolf? I’m Akai. I suspect I am a genetic werewolf on both sides of my family, with one known were on one side, and one known demon on the other. I do have a list of signs and symptoms. I am XXXX currently, and hoping the first transformation will be on the hunter/blood moon of this year, as my angel has told me. So to begin, I have these symptoms, some stronger than others. Also, my parents have at out refused to let me get silver nitrate as filling on my teeth, and when I ask my dad why, he just says “it’s old school”, and ends the conversation. This may not be relevant, but I was born on a Holy Thursday, which happened to be on a full moon that year, XXXX years ago. I do have wolf dreams, wake up with cuts, bruises, and pain, but there is no fur on my bed nor torn sheets. One werewolf has told me I am a shape-shifter, but my angel has told me that I am a werewolf. So, based on these facts, I feel that I may be, in fact, a werewolf. Anyone who helps is greatly appreciated.